When writing this post, the movie Fear and Loathing in Las Vegas came to mind. In that movie Johnny Depp (Raoul Duke (Hunter S. Thompson)) and Benicio Del Toro (Dr. Gonzo) are traveling to Las Vegas (or was it from…) when Depp announces “wait, we can’t stop here, this is Bat Country!”, which is a famous line from the film. Bats become a major component of the film, and are mentioned 35 times in the script. There are many strange and creepy moments in the film, and bats are a major (but perhaps the most natural) part of the experience. 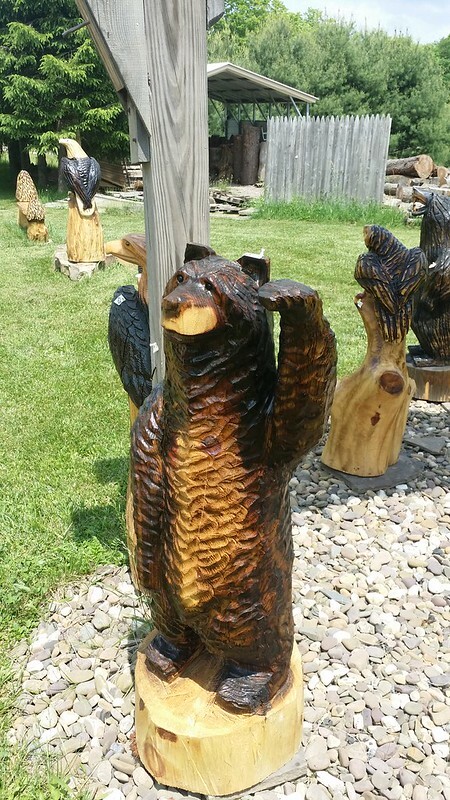 Driving through Garrett County, Maryland — alone and totally sober (okay, caffeinated) — I noticed the appearance of Bears everywhere. 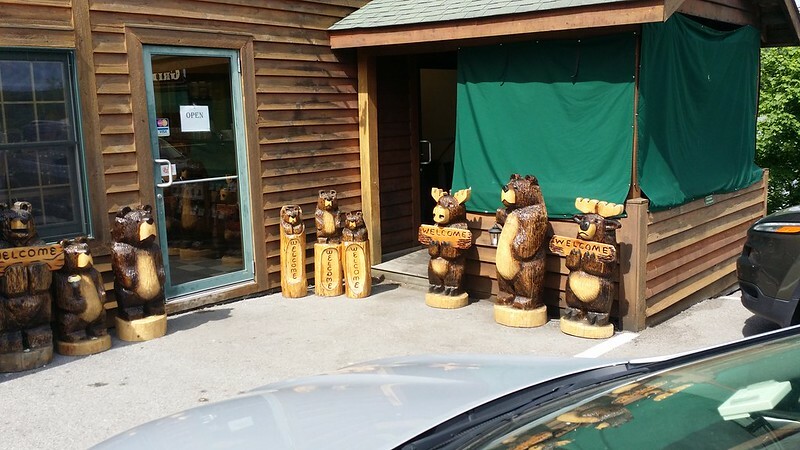 Signs in the shape of bears, wooden bears, places with “bear” in their name. And to be clear, I’m talking about black bears aka Ursus americanus. 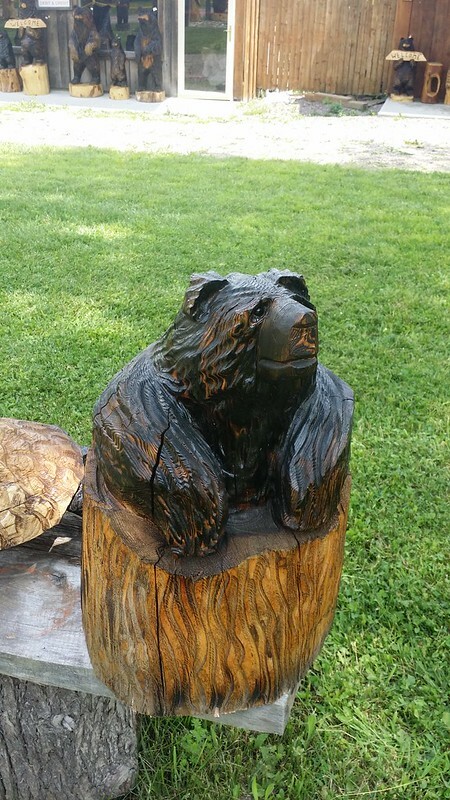 Garrett County Maryland is clearly “bear country”. Unlike Raoul Duke, I had no fear of the dominant local mammalian fauna. Statistically speaking, only one person per year dies of a bear attack — and that’s all bears, not just black bears. You are 33,000 times more likely to to be killed by a human driving a car than a bear. That’s 3,300,000% more likely. Here’s the source if you don’t believe me. Now, am I suggesting that if you’re on a road trip in bear country it is safe to stop in a forest, and prance off into woods covered in spoiled lard and blueberries? No! You should be wary of bears, and pay them the respect they deserve, but don’t avoid Garrett County because the dominant megafauna are bears. 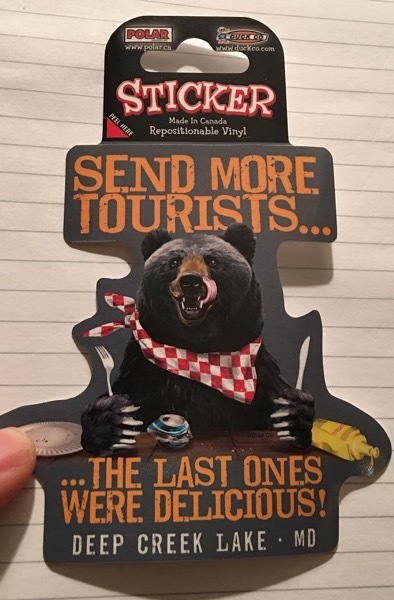 If you think like I do, you’ll want some bear-themed souvenirs. 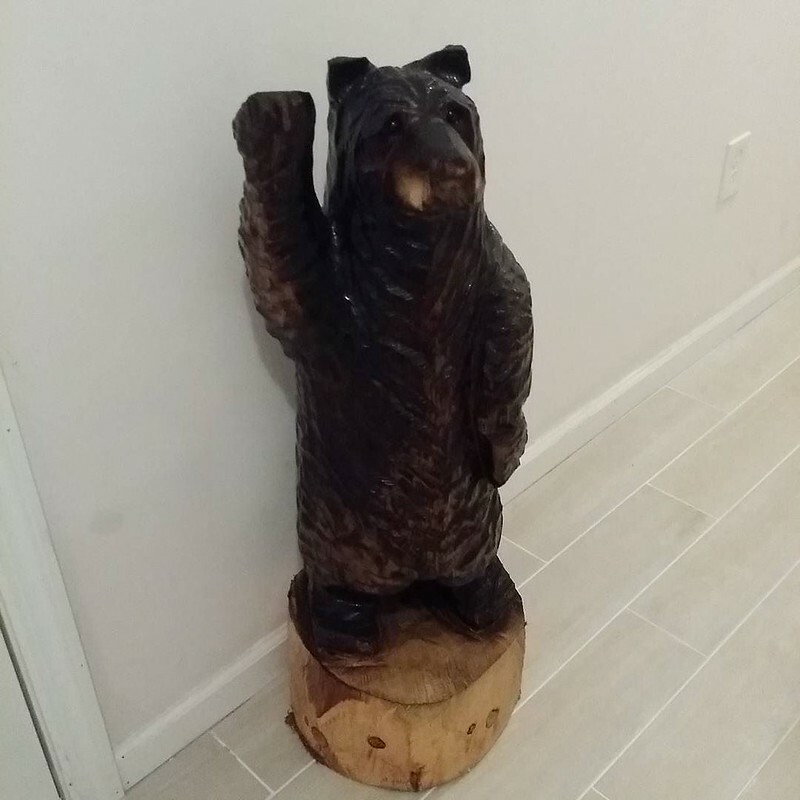 Bear Creek Traders in McHenry, Maryland is a super-market sized store filled to the rafters with all manner of bear-themed bric-a-brac, tchotchkes, quelque chose. When I walked through the door, an alarm went off that announced “a rube as entered the building”. When it comes to travel situations, I have little self-control, so I loaded up on $99 of t-shirts, mugs, magnets, shot glasses, and stickers. I love that kind of stuff. 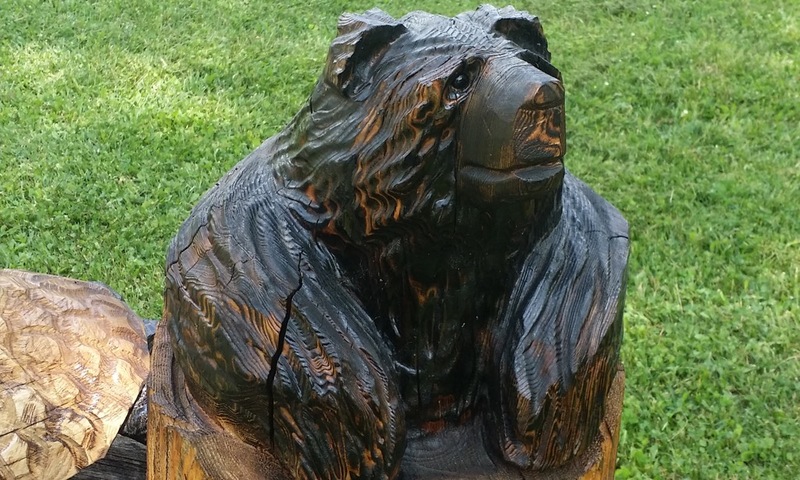 The most iconic manifestation of Garrett’s bear obsession are the chainsaw-carved bears that festoon nearly every business or homestead in the county. Chainsaw bears are not unique to Garrett, but they “own” the art form. 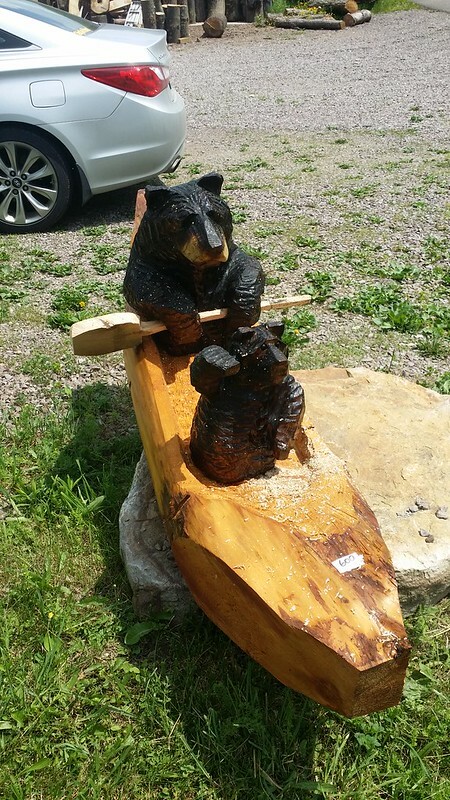 If you haven’t seen them before, they’re literally bears sculpted out of wood using a chainsaw; the limited precision of a chainsaw combined with the natural grain of the wood simulate the fur of the bears. Sell fudge and popcorn? Why not sell bears as well? While mapping the outer edge of Brood V, I stopped at a chainsaw vendor in Bittinger along rt. 495. I met the proprietor, and we had a short conversation about bears, insects, religion, and life. There’s no sense in traveling unless you stop and talk to folks along the way. In a “why the heck not” moment, I decided to purchase a small chainsaw bear. He now greets people who visit my apartment, and guards it from evil spirits.